The Southern coast of Portugal known as the Algarve is a popular summer and winter holiday destination for thousands of visitors each year. The Algarve is quite peculiar in that it borders both the Mediterranean and Atlantic coasts. A long fishing, sailing and Moorish history contribute to the charm and warmth of the Algarve. Faro is the capital of the Algarve and is home to a good but small international airport. The city is situated along the southern coast of Portugal and is one of the bigger cities in the Algarve surviving on it's fishing, salt and building industries. Faro has a cathedral, the Arco da Vila which is a splendid gateway in the old city walls and a Maritime Museum. In a taxi, Faro airport is about a 20 minute drive from the resorts of Vilamoura and Qateira and about a 30 minute drive from the town of Albufeira. The town of Albufeira has become one of the best known and most visited resorts in the Algarve. That's hardly surprising given that the hotels and apartments are conveniently situated along sandy beaches with the cobbled city streets of Albufeira within easy reach. Market stalls are set up during the day and stay open late into the evening during the high season. The nightlife is varied with many restaurants catering for different tastes, bars that stay open until the early hours of the morning and the lively market for souvenirs. Albufeira is perhaps most notorious for it's beaches such as Praia do Castelo, Praia da Falesia and Praia de Baleeria and for it's cliffs and hidden tunnels, some of which include Ponte Grande, o Patio and Penedo de Peneco. The town also has it's share of culture and you may like to visit the 16th century churches of Igreja Micericordia, Igreja de Santa Ana and Igreja de Sao Sebastio during your stay. The interesting old town and fishing village of Tavira close to Spain is famous for it's beautiful beaches and 37 churches. The resorts of Vilamoura and Qateria have numerous apartment blocks and hotels along the beachfront. The accommodation options are ideal for families and couples as there is entertainment for everyone from lazing on the beaches to shopping, great dining, a marina and of course, golf! Vilamoura and Qateria boast four 18 hole golf courses and one 27 hole course. Take a break from the sunshine and visit the small museum on the marina situated next to the Roman ruins of Cero da Vila. If you feel that lady luck is on your side you could go to the casino in town, one of three situated in the Algarve. 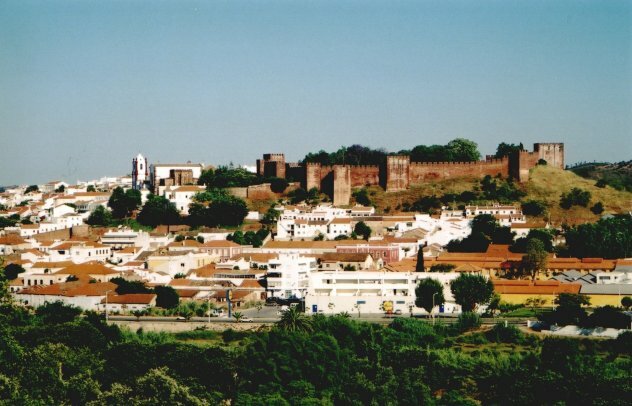 Silves is a popular town to visit because of the huge red castle the Moors constructed during their occupation of the town. The castle is worth a look for a couple of hours and is a good diversion on the way to Sagres. 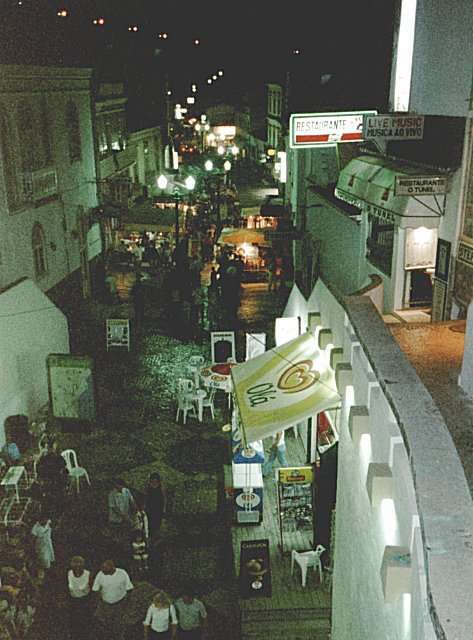 Moving southwest from Albufeira is the town of Sagres. 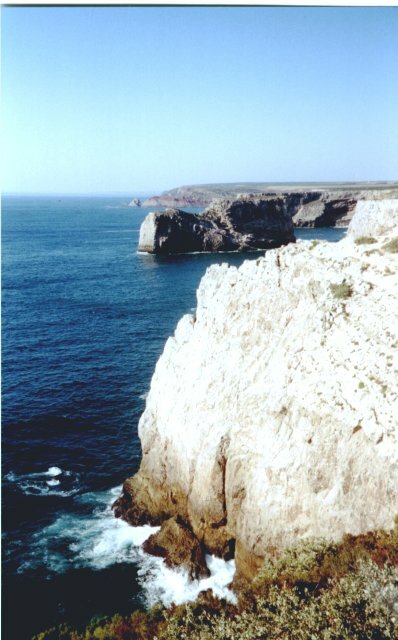 Sagres is famous for it's school of Navigation founded by Prince Henry the Navigator in the 15th century. It was here that navigation over longer voyages was studied and navigation by stars was first introduced. There are numerous places to visit in Sagres; the 16th century fort called Ponta de Sagres, the Fort Beliche; a small fortress with a gorgeous chapel. Not to be missed is the Cabo de Sao Vincent or Cape of St Vincent; the south-western tip of Europe. Take a walk along the tip for breathtaking views of the Atlantic Ocean. Just to the east of the tip are wonderful beaches with amazing cliffs as backdrops. We recommend you spend a day here but bring plenty of sun lotion and drinking water. Architecture in Portugal is dominated by the extravagant "twisty" Manueline styles of the 16th century and the towns along the Algarve all have churches and museums well worth visiting with some of the more note worthy mentioned above. While you are visiting go along to the nearest information office for more details of what's on, for example the Carnaval that is held 6 weeks before Easter or the Feista de Sao Martinho held in November sporting horse riding contests and bullfights. You will notice posters around the towns advertising "torro" or bull fights. 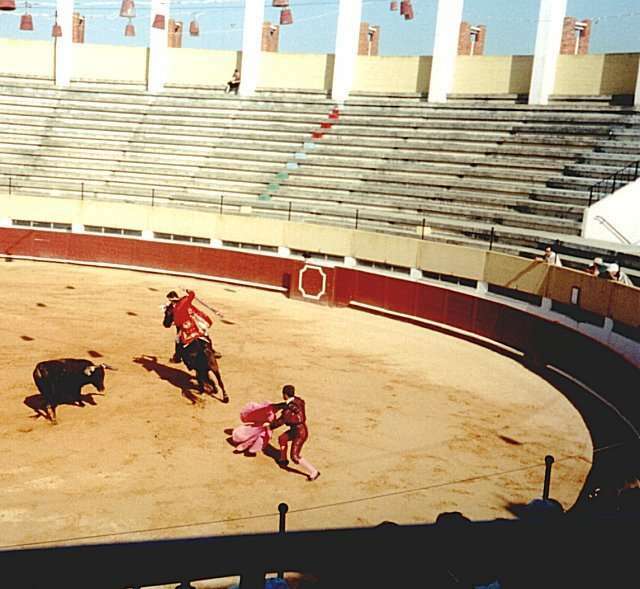 These are held in a special arena and are different to those held in Spain in that the bulls are not killed. The shows last for a few hours and you will be able to see brilliant horse riding skills on display and the matadors in action. This is not for everyone though. All the towns along the Algarve cater for locals and tourists alike. Your choices range from designer to handmade and the local craftsmen are always worth paying a visit to for something special to take home with you. Look out for bed linen and table cloths intricately stitched by hand. The beaches along the Algarve are long and wide and are outlined by rugged cliffs and caves. Stick to the main beaches for the added comfort of life guards on duty or take a drive off the beaten track for some hidden coves. Although the beaches are along the Atlantic and the water is slightly cold, it is very welcoming, especially in the hot summer months. Portuguese wine is of good quality, try the rose on a hot day. Black and green olives are in abundance. These are usually put on your table when you arrive for a meal and you are charged for them if you decide to eat them. Definitely worth it though if you enjoy olives! Chicken roasted in a peri-peri (spicy) sauce. You choose how hot you like it! This will come as no surprise since the towns are situated along the coast. Sardines, red mullet, squid, mussels and a local dish called cataplana are just some of the delicious fish dishes you will find on the menus. Local favourites include Sagres and Super Bock. You can find excellent hotels in the Algarve and southern Portugal. Many of the main hotel sites will have listings for you. Find Algarve Hotels. There are loads of hostels and cheap accommodation options in the Algarve and Southern Portugal. Prices vary from hostel to hostel but are generally affordable. Search and book a hostel in the Algarve. You really need a car to travel from town to town and to really visit the coast of Portugal. There is an extensive bus service along the southern Portuguese coast in the Algarve. Although distances are not long, some buses do take longer depending on the number of stops they make. Faro bus terminal is located in town and there is a connecting bus from the airport to the bus terminal. Trains go to the Algarve from most major centres and are an economical way to get around Portugal and Europe. Portuguese. Locals may speak a bit of English and if that fails, try some Spanish, they will understand you then.